In this package you get 6 different palettes and that means 60 eyeshadows, 12 lip colors, 4 blushes and 3 bronzers. I don't like the package. 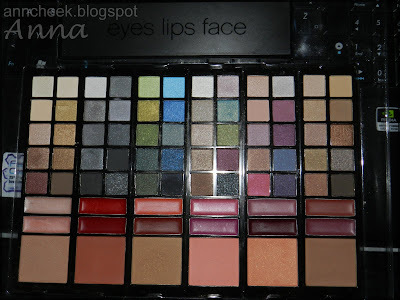 I like the idea of 6 palettes but i don't like it that only 1 on-the-go compact come with it. So you can storage your palettes in the original box which is a waste of space! And the original paper box get pretty damaged trough the month, and i didn't even use the shadows. I think i will buy them some box to storage them in, cuz they can't be out all the time. I have no idea why they don't sell on-the-go compact by it self.. :O. Well i already love blushes and bronzers ;) You get some matte and some shimmery and that is pretty good! 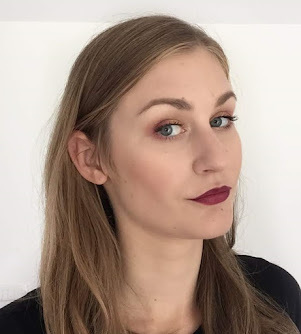 I just don't like it that they didn't write a names, so I have no idea what blush buy when i run out of this one..
For my make up this time I used Date Night palette. It has some wonderfull color in it, mostly grey and black and i love it when i saw it. And then i just imagine make up in my head and startet to work out. And what a big disappointment.. How poorly pigmented shadows. 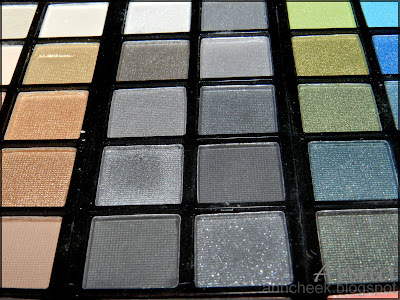 You get in this palette some matte black, gorgeous shimmery black, some beautiful grey shadows and shimmery highlited color. 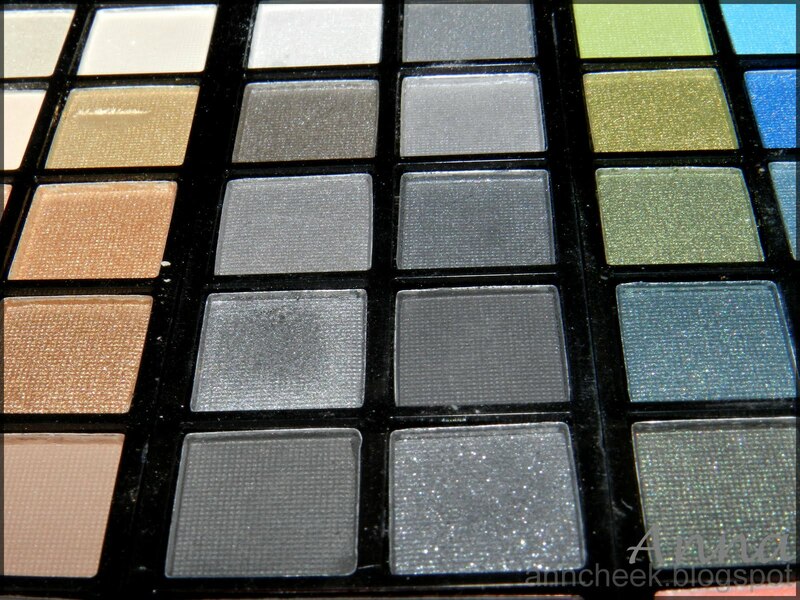 In palette just looks so beautiful. But i just couldn't get any color on my eyelid. I will show you my make up, which looks horrible to me. For base i used E.L.F eyelid primer. You can see it almost looks like i put only one grey shadow up. 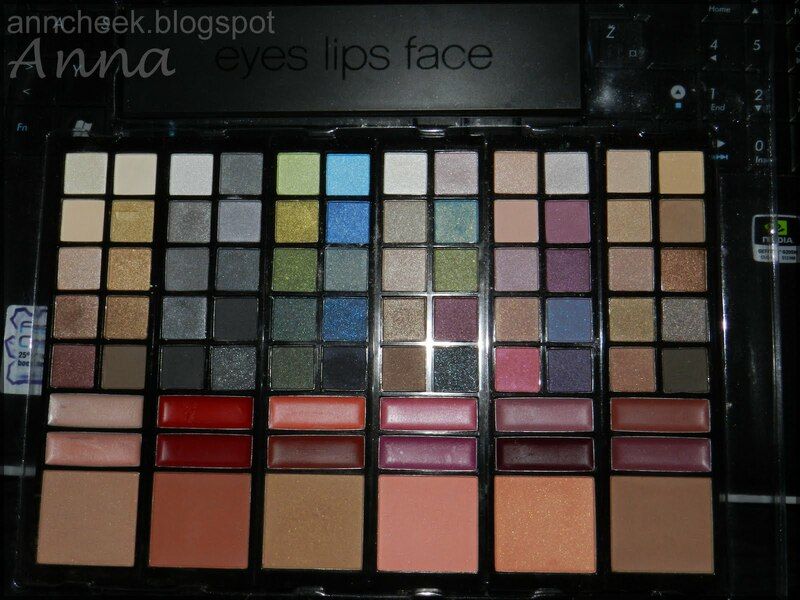 But i can tell you I used almost every color out of this palette. I give this product 2/5. 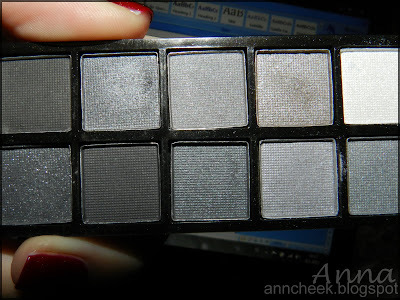 It's good palette for beginners that are afraid of too intensive colors. But for someone who like more intensive make up I simply don't recommended. So do you like this review? And do you have any advice for me for my next review? I would love to hear it! ojoj, še s-he stylezone senčke izpred 5ih let so bolj pigmentirane. Embalaža meni že na prvi pogled ni všeč. Pa dobiš vsaj kkšno plastiko za čez al samo kartonasto škatlo?